Dominick Reyes hopes he gets the chance to knock Jon Jones off his perch. Reyes is a rising Ultimate Fighting Championship (UFC) light heavyweight. His professional mixed martial arts career is off to a perfect 10-0 start. He’s coming off a dominant unanimous decision victory over Ovince Saint Preux. 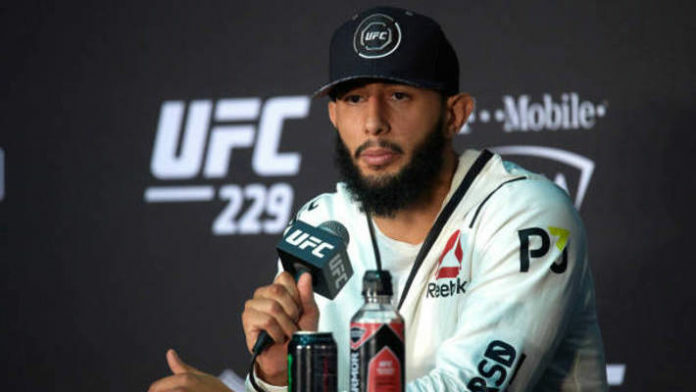 Verbal agreements are reportedly in place to have Reyes take on Volkan Oezdemir at UFC on ESPN+ 5 on March 16. Jones is set to defend his UFC light heavyweight championship against Anthony Smith next. The UFC wants the bout to take place on March 2 in Las Vegas. It all depends on whether or not Jones can get licensed to fight in the state of Nevada. If he can, then he’ll share the headlining spot with Smith at UFC 235. Do you think Dominick Reyes will reach his full potential and if so, will it be enough to dethrone Jon Jones?